Skriv inn din e-postadresse for Nina Persson relaterte nyheter og oppdateringer. 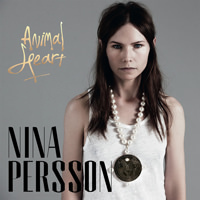 One of Sweden’s biggest, brightest pop stars, Nina Persson, has released the first solo album under her own name - “Animal Heart”. This is the first solo release from Nina, and her first album out since she, Niclas Frisk and Nathan Larson released “Colonia” as A Camp in 2009. Her other band, The Cardigans, have not released an album since 2005. 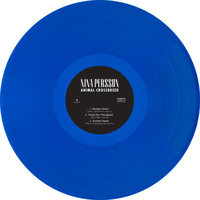 “Animal Heart” was written and produced by Nina along with her husband film composer & novelist Nathan Larson (A Camp, Shudder To Think) and Eric D. Johnson (The Shins, Fruit Bats). "The most difficult and maybe also the best thing about going solo is probably all the decisions you make alone. Somewhere inside, I have a very clear clock, a gut feeling, that says what I think. I have forced myself to just keep going and follow only my gut with this album. I have simply no time to dwell on things anymore which I did a lot before," says Nina. Since The Cardigans’ last album and the two critically acclaimed albums by A Camp, Nina has performed as part of The Citizens Band, featured on the Sparklehorse/Danger Mouse collaboration “Dark Night Of The Soul” and started a family. The goods news is that “Animal Heart” - the album and single – see Nina back on form with the return of her wonderfully distinctive voice carrying finely crafted songs. Perhaps unsurprisingly, themes include moving forward without getting caught in the past in addition to the perennial topics of relationships and alienation. "Animal Heart" is out now on Lojinx LP, CD & digital.